Henry II was the last crowned King of Jerusalem (after the fall of Acre in 1291, this title became empty) and also ruled as King of Cyprus. He was a Lusignan dynast. 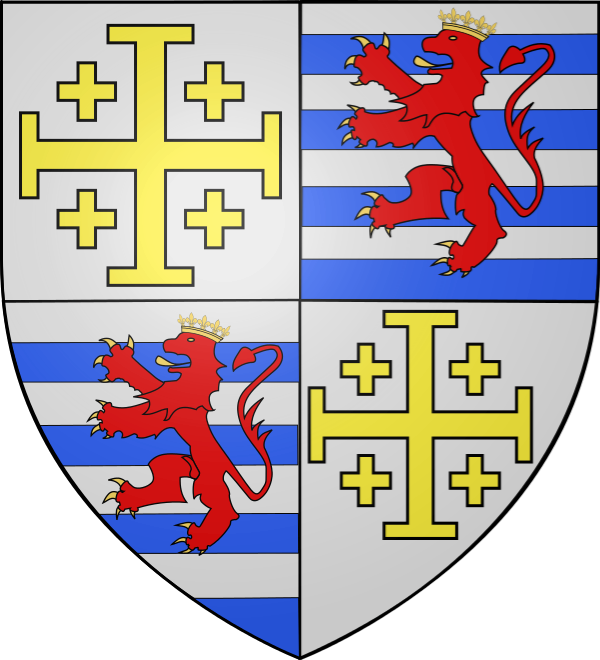 He was the second surviving son of Hugh III and succeeded his brother John I in May 1285; there was some suspicion that Henry had been involved in poisoning John. He was crowned at Santa Sophia, Nicosia, 24 June 1285. During his reign the Mameluks captured Tyre, Beirut, and the rest of the cities, and destroyed the similarly weakened County of Tripoli in 1289. The final siege of Acre began on 5 April 1291 with Henry present in the city. He escaped to Cyprus with most of his nobles, and the city fell to Khalil on 28 May. He continued to rule as King of Cyprus, and continued to claim the kingdom of Jerusalem as well, often planning to recover the former territory on the mainland. He attempted a coordinated military operation in 1299/1300 with Ghazan, the Mongol ilkhan of Persia, when Ghazan invaded Mameluk territory in 1299. His reign in Cyprus was prosperous and wealthy, and he was very much involved with the justice and administration of the kingdom — he had the Haute Cour keep written records for the first time, and extended the court's role from a feudal advisory body to a true court responsible for trying and punishing criminals. He died on 31 August 1324 at his Villa in Strovolos, near Nicosia, was buried at the Franciscan Church of Nicosia and was succeeded by his nephew Hugh IV.